Want a fun and exciting way to experience St. Croix? 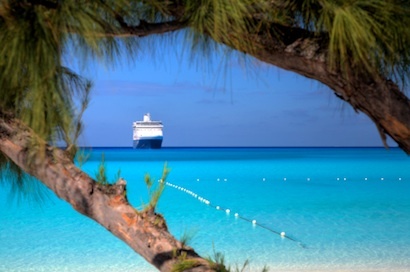 Try a Royal Caribbean cruise! Not only do you get to visit multiple islands in one trip, but you also get to enjoy the amenities on the actual ship as you travel between cruise ports. Royal Caribbean is one of the best cruise lines available. These ships have the most on board activities like the rock-climbing wall, ice-skating, roller skating, mini-golf, basketball court, the surfing simulator and the zip line, depending on the specific ship. Royal Caribbean offers a number of luxury cruises that sail to St. Croix. There is Adventure Of The Seas cruise (a Voyager class ship) and Serenade of the Seas cruise (a Radiance class ship). Adventure Of The Seas cruise - in the Voyager class of cruise ships, enjoy everything form rock-climbing walls, miniature golf courses, and ice-skating rinks along with specialty restaurants, shops, and cafes. Serenade Of the Seas cruise - in the Radiance class of ships, there is more open space, balconies, and glass than on any other cruise ships. Features such as glass walls and elevators are designed to help you forget you’re even on a ship at all. The great thing about Royal Caribbean is that you can do whatever you want, from mixing and matching which cruises you'd like to take, to even just doing whatever suits you onboard. Royal Caribbean ships offer itineraries, activities and amenities designed to appeal to every taste, energy level and age group, allowing guests to create their own adventure. And if you’re travelling with children, Royal Carib is the way to go. They have an awesome program for children. You can always tell when it's a cruise ship day on St. Croix. There’s a certain hustle and a bustle, an excitement in the air, and a fun and festive flair felt all throughout Frederiksted. So check out their website for cruise schedules and trip itineraries!